As for classes, well it's pretty much standard D&D with some name changes. Warriors, scouts, friars (in place of clerics), and wizards. They each do about what you would expect from the names. In fact, the entire thing would feel like just D&D with animals, but for a few key differences. For instance, this is now your Dwarf. Mainly, everything is handled with a plain old d6 instead of the classic d20. From an armor class that can range from 2 to 6 (with a handful of opportunities to push it to 7), to your attack die, saving throws, and hitpoints, everything is done with a d6. This radically changes the way the game flows, altering the odds on everything. It makes combat even shorter and makes saving throws a little more tense. Of course, this means there is very little mechanical customization of characters. There is no laundry list of skills, just a handful of special abilities that each class can do (from incredible feats of jumping, to tunneling, and things of that sort). Other things that make WW stand out from D&D include a very lenient death system where, unlike most iterations of 0E, you don't die after being reduced to less than 0 hitpoints. Instead you have to fail two additional rolls for your character to expire, meaning almost no character will die from a single instance of bad luck. Combat is also different, with each combatant rolling a number of d6s equal to his/her level to mark multiple attacks, or burning off one or two dice attack dice to add an extra bonus to a single attack roll. It helps add some strategy to the otherwise simple combat by asking players if they should take the extra attacks or go for a guaranteed hit. It also does away with even the vaguest hint of an alignment system. All PCs are good and all their foes are evil. While this might seem a broad generalization, it does fit with the overall theme of the game, which is that of light-hearted adventure. It's a game that tries to be simple enough even for children to grasp and run, yet detailed enough for adults more used to deeper systems. It doesn't always work perfectly, but for the most part it played solidly. I don't think I actually needed to look up a single rule while GM-ing and found dropping in NPCs to be a breeze. 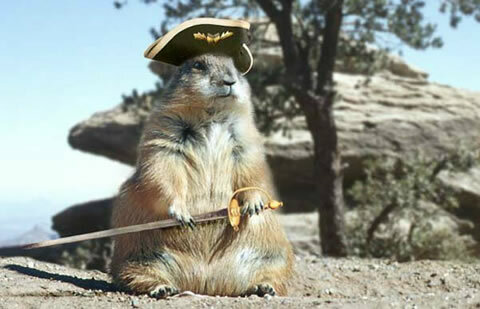 Essentially, pick an animal, add a sword, and bam! You're done. 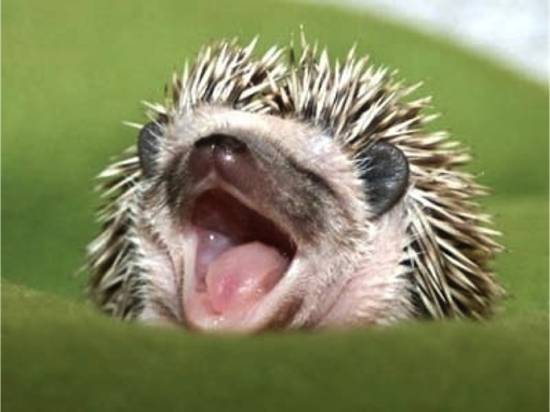 The pdf file (which is what I am using as reference) is clean and well-formatted for the most part. It is single-column with a large font, making it easy to read. There is not an overabundance of artwork, though Darrel Miller's illustrations of woodland adventurers proves to be very setting appropriate. The book contains a limited beastiary and spell list, keeping it short and simple, but the rules make it a snap to add new content. And older edition D&D content could probably be ported with a minimum of effort. It also contains a nice setting with plenty of plot seeds, a lovely map, and one sample adventure. So is Woodland Warriors for everyone? No, probably not. But I've played several games with young players and with adults and both had fun. 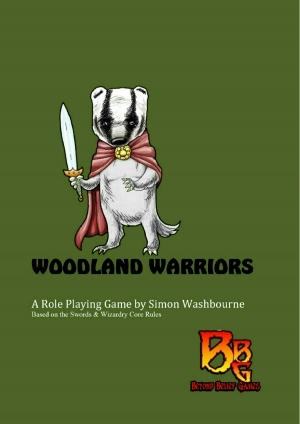 If you can tolerate the animal-based setting, and don't have any hangups about using a sole d6 for your gaming, I would heartily recommend Woodland Warriors. There are also three expansion books, two of which I will talk about next week. You can buy Woodland Warriors for $5.00USD at rpgnow.com, for $12.00USD in a bundle pack with its expansions, or in print for $13.16USD at lulu.com. Glad to see a real review of this game -- and it's good to know that it's getting played. I haven't DM'd in more than 10 years, but I've got a table full of of kids showing up on Saturdays, learning how to follow rules, roll dice, and create characters that are fun to play. Thanks for pointing out that older D&D material can be translated to the setting with minimal effort -- it's been working for me, thankfully. Oh, and I think the moles are more like dwarves than the hedgehogs are... but that's just my opinion. Cheers!